Cesc Fàbregas is a Spanish professional football player. Cesc Fàbregas grew up in Spain, but moved to England to play club football. He joined the team Arsenal at only 16 years old. This was the youngest player they have ever had. Fàbregas is suspected to have thrown pizza at the manager of Manchester United after a game he won with Arsenal, leaving that match known as the “Battle of the Buffet”. Fàbregas later played for Barcelona and Chelsea. He has also played for the Spanish International team, including the 2006,2010, and 2014 FIFA World Cups. Cesc Fabregas Warm-Up 30-01-2008, Emirates Stadium, London, UK. Cesc Fàbregas is a famous Spanish footballer, who was born on May 4, 1987. As a person born on this date, Cesc Fàbregas is listed in our database as the 3rd most popular celebrity for the day (May 4) and the 55th most popular for the year (1987). People born on May 4 fall under the Zodiac sign of Taurus, the Bull. Cesc Fàbregas is the 171st most popular Taurus. 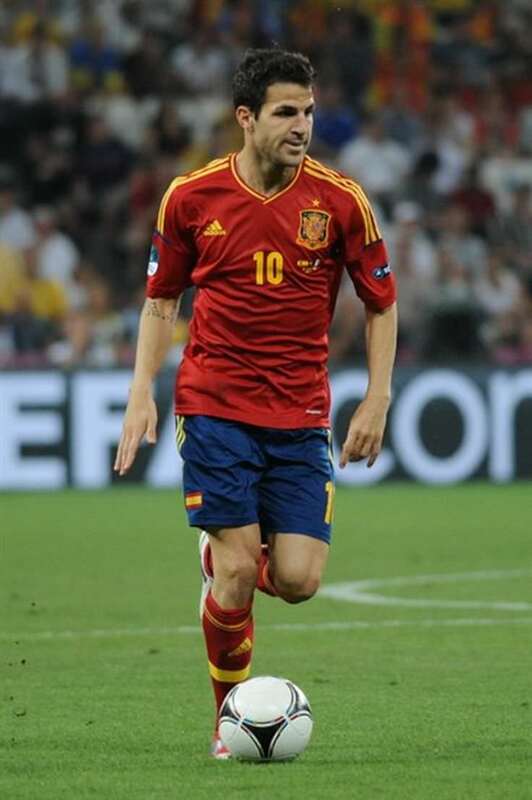 Aside from information specific to Cesc Fàbregas' birthday, Cesc Fàbregas is the 17th most famous Spanish. In general, Cesc Fàbregas ranks as the 1910th most popular famous person, and the 63rd most popular footballer of all time. “The Famous Birthdays” catalogs over 25,000 famous people, everyone from actors to singers to scientists to serial killers and more. If you're curious to see who was born on your birthday, you can use our database to find out who, what, where, when and why. You can search by birthday, birthplace, claim to fame or any other information by typing in the search box, or simply browse our site by selecting the month, the day, the horoscope, or any other clickable option.